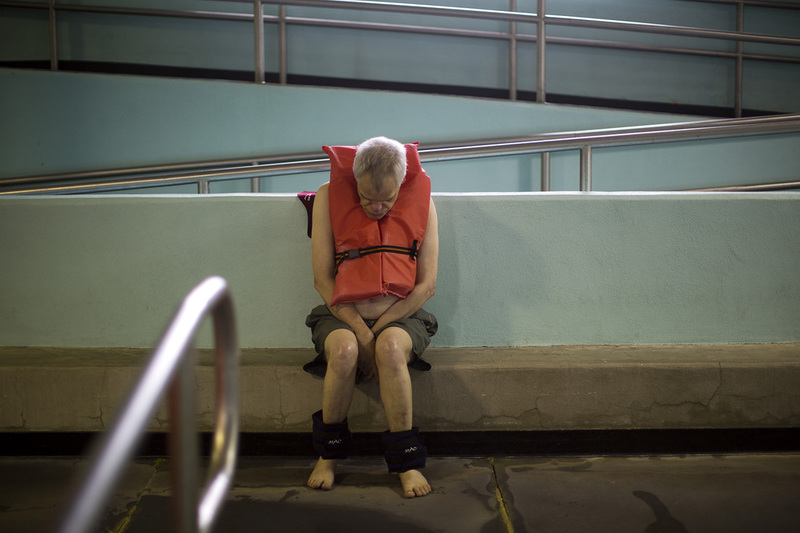 The image (left) of Ronnie Russo waiting to get into the Fernald Developmental Center pool was selected for inclusion in American Photography 30 Chosen. The website for American Photography 30 won't be up until November, when I'll post another link. The picture was originally taken for an assignment for the Wall Street Journal under photo editors Matthew Craig and Kate Lord. You can see an edit of the story in the Projects section of my website, or see how it ran in print with links to the article in the Recent Work section. By the way, this image is one of 266 to be included from the 9,644 submitted to the contest. Straight from the horse's mouth, here's a bit about what American Photography is. "The AI-AP books remain the exclusive resource for top creative professionals who appreciate its thoughtfully curated selection and who insist on assigning the best artists working today. Inclusion in the AI-AP books places you in the highest ranks of your profession."